The Scientific Program of the PME34 is complemented with various social events and tours in order for participants to explore the host city and nearby areas, such as National Parks and Historical Cities. We will do our best for the conference to be an enjoyable and memorable event for everyone. Included: transportation by coach bus, coordinator, bilingue professional guide, lunch box and a dinner. The bus will depart from the conference venue at 11:00. 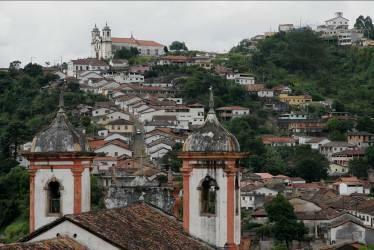 The participants will be heading Ouro Preto, the ancient capital of the State of Minas Gerais (1721-1897). It is a well preserved XVIII century city, considered amongst the greatest baroque architecture sites in the world. Visitors will experience the city as if strolling on a movie set, the city complex itself the most impressive feature. Its hilly and stone paved streets, houses painted in pastel colors and the 13 baroque churches evoke the Brazilian gold rush, when that region was one of the most important mineral suppliers in the world. The ancient baroque sculptures in wood and soap stone are mostly due to an artist known as Aleijadinho. Son of a Portuguese architect and a black slave woman, Antonio Francisco Lisboa was born in 1738 and inherited the name Aleijadinho after his hands and legs were harmed by leprosy. Even though he kept working to a point his apprentices had to tie hammer and chisel to his wrists. 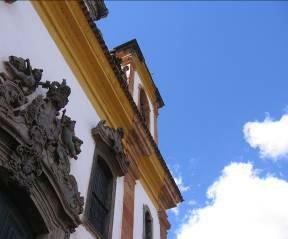 He became the finest artist of the Brazilian baroque , and Ouro Preto is his main exhibition site. 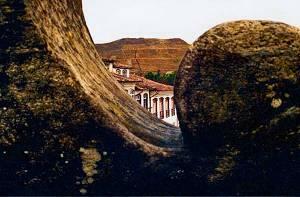 In the heart of Ouro Preto, Mina do Chico Rei is a former mine, open to visitors. We may feel how the life of a gold miner would have been like: a self-guided tour lets us wander its narrow tunnels, leading to a mineral room showing a variety of stones from this area. We are able to see the reddish-brown mineral holding Ouro Preto’s gold, which gave origin to the name of the city, meaning “black gold”. For the museums, at least Museu de Minas and Museu do Oratorio are worth a visit. Museu de Minas mixes modern and old fashioned museum features, displaying a mineral collection which includes nearly 2.000 lesser known varieties of stones. Museu do Oratorio presents a collection of mini-altars – oratories, used by those who wish to pray at home, or during work or travelling. All are works of art; and include those of Afro-Brazilian influences. These are adorned with colored flowers and shells exposing a religious syncretism, and portraying black saints. Also, participants will be offered a traditional meal in one of the main restaurants in the city. PLEASE NOTE: Due to its mountainous region, the medium temperature in Ouro Preto during July is about 18º Celsius. Mind to have adapted clothes. Serra do Cipó has around 300 days of sunshine per year, and altitudes ranging from 800 to 1700 meters, with an average annual rainfall of 700 mm. It dates to the pre-Cambrian period - in a region previously occupied by ocean for 1.7 billion years, as shown by its geological features, with the predominance of quartzite as a result of the consolidation of sand deposited on the bottom of the ancient sea. The region's canyons are typical, with waterfalls and deep ponds inside, which maintain the volume of water constant during almost the whole year due to the sandy-rocky soil. 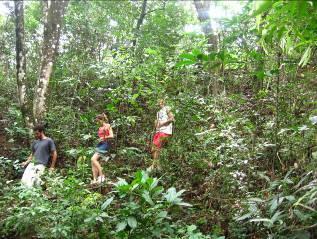 The biodiversity of vegetation is high, with many species which are only found there. Its fauna is typical and the place holds several threatened species. 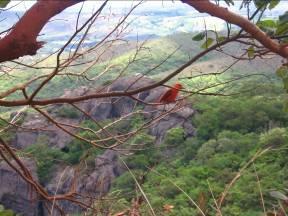 The tour explores the main historical and natural attractions of the lower part of Serra do Cipó. 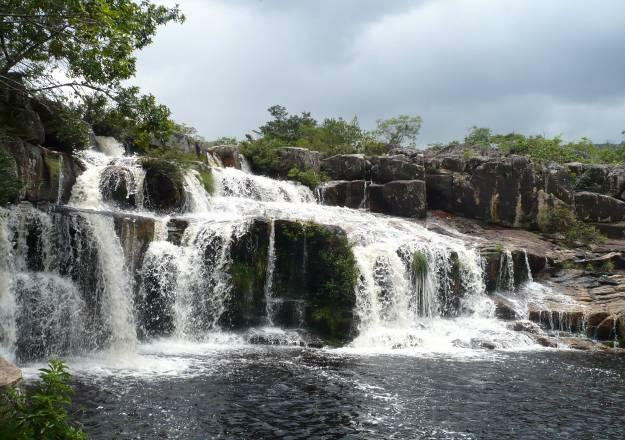 It includes visiting the Bride´s Veil and the Great waterfall, with stops for swimming. In the National Park of Serra do Cipó’s Main Gate, we will find out more about the fauna, flora, hydrography and history of the region. At Mr. John´s distillery we stop to learn about the process of manufacture of artisanal cachaça. The tour includes visiting an old and typical store kept in its original format, the old Cipó Farm’s Main House, which served as a landing of troops, the Museum Inhá Rita, a Chapel dating from 1829, and the 100 year old water mill which is still being used for manufacturing corn flour. The tour ends at Vale do Rio Cipó Belvedere, where we will find out the origins of the mountain’s name. The participants will be offered a traditional meal in a traditional restaurant. Arrival in Belo Horizonte at 21:00. The maximum of attendants for this excursion is 100 participants. Please note: The medium temperature in this mountainous region during July is less than 20º Celsius. Mind to have adapted clothes. Departure by bus from the conference’s venue at 11:00, heading the State Park of Serra do Rola Moça. 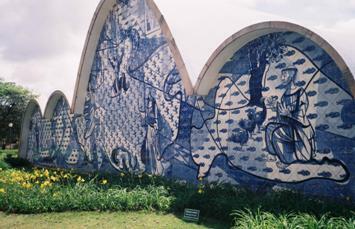 Inhotim is a Contemporary Art Centre and an Environmental Park which preserves the most varied forms of lives. It is a private, non-profit, cultural institute, holding a botanic and art collection with characteristics of a public assert. 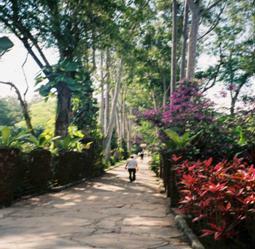 The 45-hectare grounds include gardens, galleries and open air art works. It provides a unique blend of nature and contemporary art. 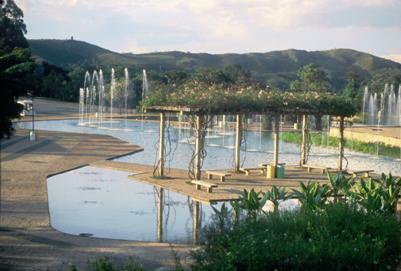 The spectacular tropical park has areas designed by the famous landscape artist Burle Marx (1909-1996) who was also involved in the projects of Pampulha Lake, in Belo Horizonte and Brasilia, the capital of the country since 1962. 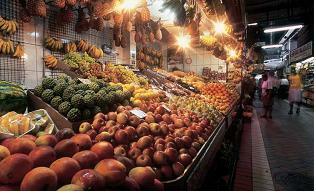 It contains an enormous variety of botanical species. The main characteristic of the landscape is its discontinuity and organic form: when walking around through the multiple and winding alleys, the visitors are always surprised with a new environment which is gradually revealed in each turn. Birds in the area are also worth watching. Currently there are ten galleries with permanent exhibitions and several temporary galleries with works by international artists. Inhotim represents the only such park in Latin America, uniting nature and art in a wonderful perspective. Lunch will be served in the park. Dinner will be served in a restaurant nearby the park. A main highway route is taken in the way back to Belo Horizonte in the evening, arriving at 20:00. Pampulha Lake site is considered by its builders as the seed of Brasilia – the new capital planned from the scratch, as the ideal barycentre of Brazil - the modern architectonic complex in this site was built from 1940 to 1943 and projected by Oscar Niemeyer when Juscelino Kubitschek was the mayor of the city. 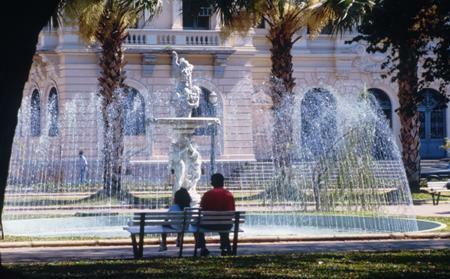 The entire architectural complex consists of the Saint Francis Church, the Art Museum (initially conceived of as a Casino), the Ball House and Yacht Tennis Club. It is a landmark in Brazilian modern architecture. There we visit Saint Francis Church (or Pampulha Church), one of the best-known symbols of Belo Horizonte. Its revolutionary design and the paintings representing Saint Francis leaving his clothes were rejected by the religious authorities of the time, who did not allow religious services in the building for many years. As we head towards the city centre, we will pass by Liberty Square. The historical complex was part of the new State capital project, which was built during between 1895 and 1897. It synthesizes the diverse architectural styles that characterize different epochs of the city’s history. The first neo-classical buildings dating from late XIX century were built as government offices. Later, during the 1940s, the art deco style influenced the covering in black of the Palace of Christ the King. In the 1950s and 1960s, Niemeyer incorporated into the complex the modern Niemeyer Building and the Public Library. And a pos-modernist project undertaken during the 1980s resulted in a construction popularly known as “Junk Queen” (Rainha da Sucata). Participants will then have the opportunity to visit the Fashion Pole, for shopping; or to get lost in the dark lightness of the Central Market, a covered market founded in 1929. There, amongst the colored variety of flowers, fruits, vegetables, and a variety of spices and herbs, including those medicinal ones, you will find from religious and exoteric articles to traditional food and drinks, and hand made crafts. In spite of the constant criticism, there still an animal fair in one of its sections. The visit ends in Mangabeiras Park, an environment preservation and research area. From this site, we may admire a beautiful view of the city and learn the reason this city is called Belo Horizonte. For participants wishing to discover Minas Gerais, a pre- and a post-conference tour are already organized. Pre-conference Tour: Vale Verde: Ecological Park, handcraft and Alambique cachaça. Estimated duration: around 8 hours (including transportation, tour guide speaking English, insurance, visitation fees). 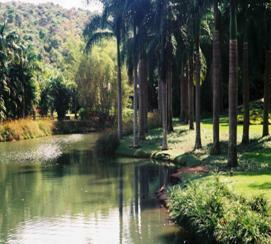 Vale Verde is situated at about 30 km from Belo Horizonte; besides an exciting ecological park, it is an excellent region for typical Brazilian handcraft and distillery. Departure by bus from the hotel. Participants will first visit the Salão do Encontro (Meeting Hall), which is a charity show room where people from the local community work on crafting, furniture, tapestry, and others. Over there we are able to follow part of the handcraft processes, and to buy those works, if we wish. At the Ecological Park of Vale Verde (Green Valley), a mini zoo maintains rare and exotic species of birds and animals in Lóris Viveiro. We can also visit the bird´s maternity space. Besides that, we will visit Alambique and learn about the production process of cachaça (the typical Brazilian spirit made of sugar cane). The park provides an international restaurant and cafeterias. * Price is valid for a minimum of 10 participants. Duration: 12 hours (Includes: transportation until BH, tour guide speaking English, lunch, visitation fees, train fee, and insurance). Departure by bus from the hotel at 7:30 am; arrival at the hotel at 7:30 pm. 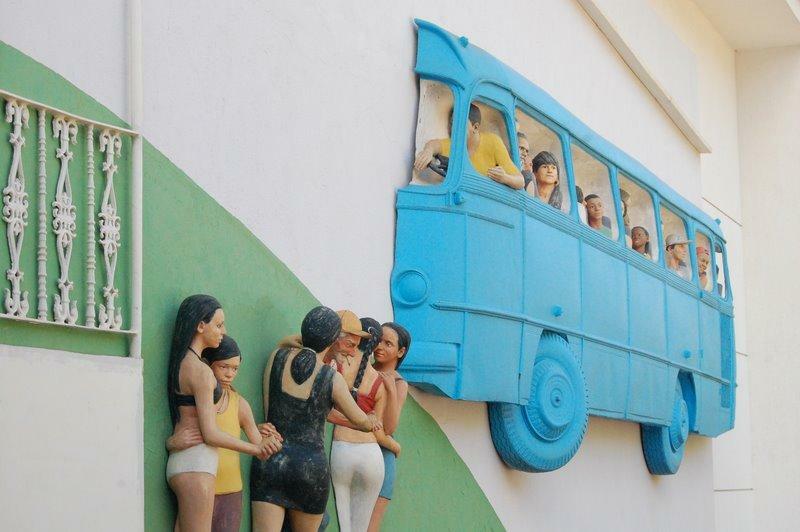 All participants would meet at the train station, to get on in the Vale´s Company Train to Barão de Cocais city. Arriving there, we will get the car to continue until Cocais, a small and charming village. Over there we will visit the archeological park of Pedra Pintada (which means Painted Rock), where you will be able to see the paintings dated from 6000 years ago. After that we will go to Caraça´s Sanctuary. The site used to be a college and seminary in the XVII´s century. Today it became an Ecological Park, which attracts a lot of tourists from everywhere. Besides the historical part, the place holds a big collection of plants and animals. We are going there for lunch and visit its historical monuments as “Nossa Senhora Mães dos Homens” Church, built in a neogotic style with French stained-glass windows and a 700 tubes organ; Caraça´s Museum that shows documents, sacred objects, etc; Cruzeiro´s Hill, a small path that takes you to one of the most beautiful places for photographers. Price: R$ 150,00 per person (price is valid for a minimum of 10 participants). PLEASE NOTE: the Pre and Post conference excursions will take place only if the participation is sufficient enough.